I’ve been somewhat AWOL the past few weeks, mainly due to it being the summer holidays and enjoying a much needed chill out but also to recover from a rather torturous holiday at a Center Parcs in France. Never have I returned from a holiday before looking like I had been physically attacked… I couldn’t even say ‘You should see the other person’, in my case it was an archery bow, paint balls and a swimming pool that left my body bruised, battered and thoroughly exhausted. To say I have been out off Center Parcs is an understatement. I’ve been, it conquered me, I don’t need to do it again! So, naturally I took some recoup time out for me to enjoy child free time and had some laptop down time. Something that never happens and it was absolutely glorious, but by ‘eck do I need to catch up now! We did end the Summer Holidays in style though, staying with a group of friends at a hostel in the Lake District. It was the relaxing break that we needed, although not much sleep to be had unfortunately due to lots of snoring people… there was me thinking the dog was going to be a problem! The images I took seriously do not do the area of Glenridding justice, especially as the weather was totally with us that particular weekend! 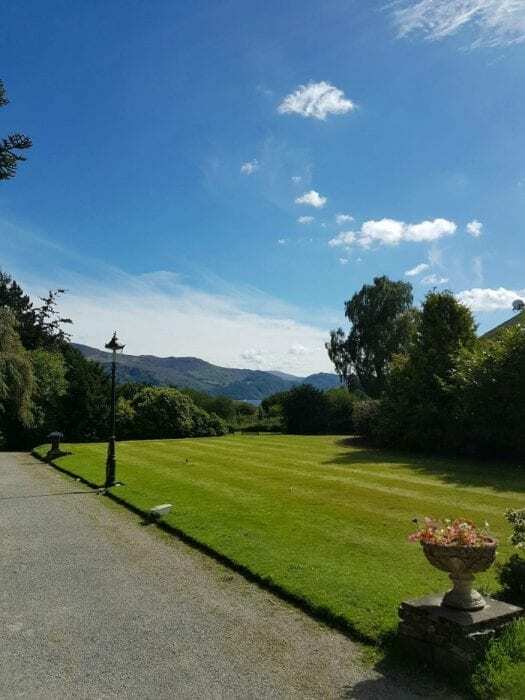 A trip to Keswick cannot be complete without a trip to one of the most beautiful beer gardens I have ever been to at the Derwentwater Hotel. The weekend was filled with fantastic company, amazing weather, stunning scenery that makes you want to relocate to the area and a dinner cooked by an army chef… with a chance for the children in our party to have pictures taken in army vehicles! Alas, it is now time to get back into the swing of normal life, Mini Me is back at school, my laptop is on and Friday Fit Bit will most certainly be returning tomorrow!